Old Man Markley, Guts N' Teeth full length out January 18th! So, you’ve heard of Bluegrass, but what’s “Newgrass”? Well, it’s the affectionately coined style of music the kids in OLD MAN MARKLEY have been pioneering since 2007. Made up of nine musicians with punk rock in their hearts and traditional acoustic instruments in their hands, OLD MAN MARKLEY have adeptly bound the two genres, giving way to something fresh and exciting. 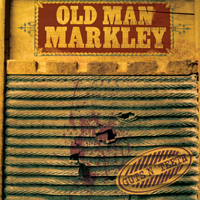 Old Man Markley are set to release their debut full length on Fat Wreck Chords, titled Guts N’ Teeth , on January 18, 2011. The release will be available on CD, LP and digitally. The band has a big year planned, and kicks things off with a slew of dates opening for NOFX in January. We recently released their debut single For Better For Worse and you can still pick up a copy on vinyl and download the title track. We stripped our punk rock down to “guts” and our Bluegrass down to “teeth.” Now we’re naked and letting it all hang out with our first full length – Guts N’ Teeth. This album was made with the hopes that it would fall into the right hands – someone that would really appreciate our unique arrangements. We couldn’t believe that the perfectly manicured hands of Fat Mike would catch it! Now it’s your turn. Have a listen and let the banjo steal a little piece of your heart. Pick up a copy at one of our shows… we want to talk with you, dance with you, drink with you! See ya on the road. Old Man Markley have confirmed their record release show for January 13th in Los Angeles at Echo. You can procure a copy of Guts N’ Teeth early so don’t delay and click here to buy your tickets!